As you can tell from this website, I’ve been to a lot of places in Europe. 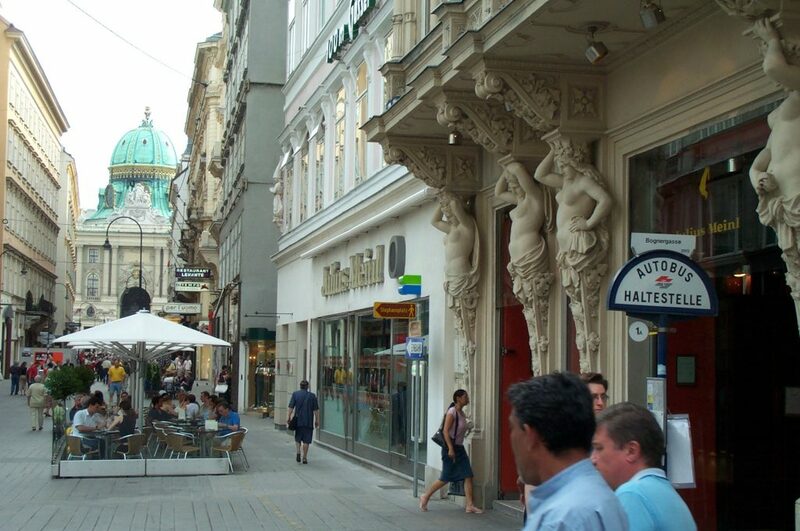 So I can speak from a position of knowledge that the city containing the Most Eye Candy is Vienna. Most places have their one, two, or three castles/palaces/churches that are unique or impressive one way or another. 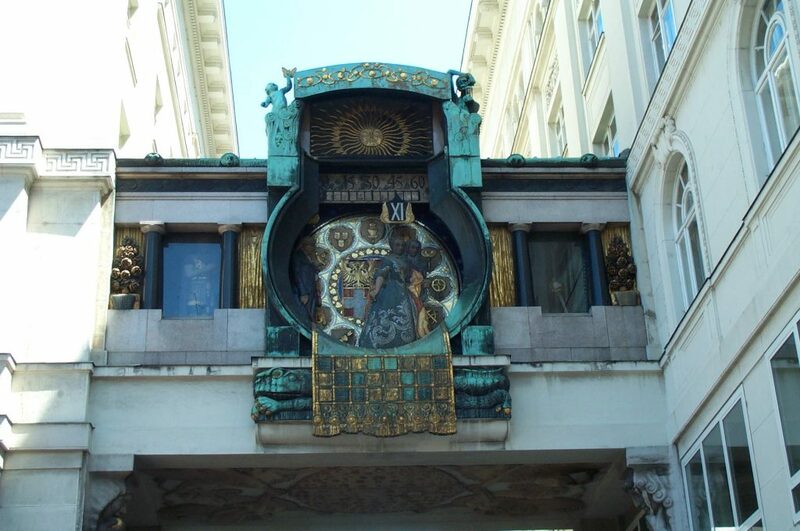 But Vienna has oddities and wowities in every street corner — and a very significant percentage of it is fully restored and cleaned, unlike other greatly impressive cities like Dresden. So, while the other three chapters in this travelogue present the major sights — I decided it was worth including a fourth chapter on the little things you might see around town if you’re willing to make a walk of it. Enjoy! 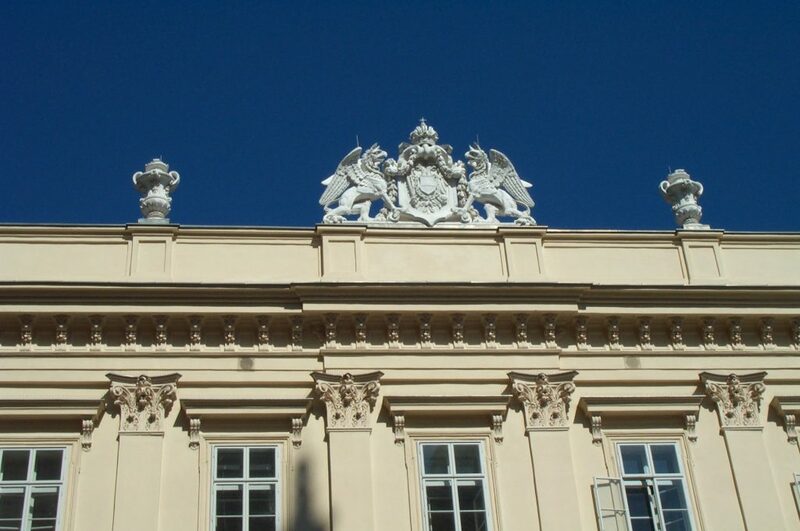 There were a lot of buildings with beautifully crafted rooftop ornaments, such as this one — likely a family crest. You can find this one just outside the Museum Quarter on Mariahilfer Strasse. This rather bizarre walking bridge is actually a clock. Note the ‘XI’, it is the hour indicator, one of twelve that sit on a rotating belt across the face. That it is about 3/4 across from L to R is what tells you the time: 11:45. You can find this about a block northwest of the Stephansdom. This shot is from the upper north part of the City Ring. 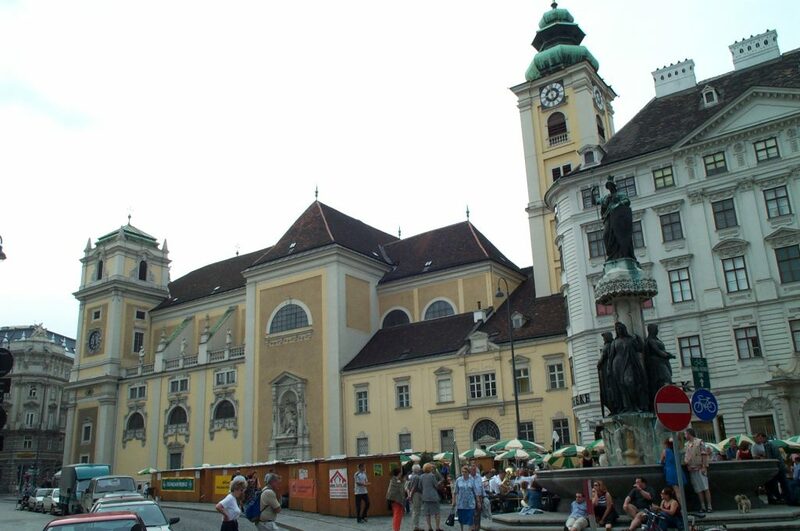 It shows the small but colorful Schottenkirche where a small local wine festival was being held (the green and yellow umbrellas in the background. 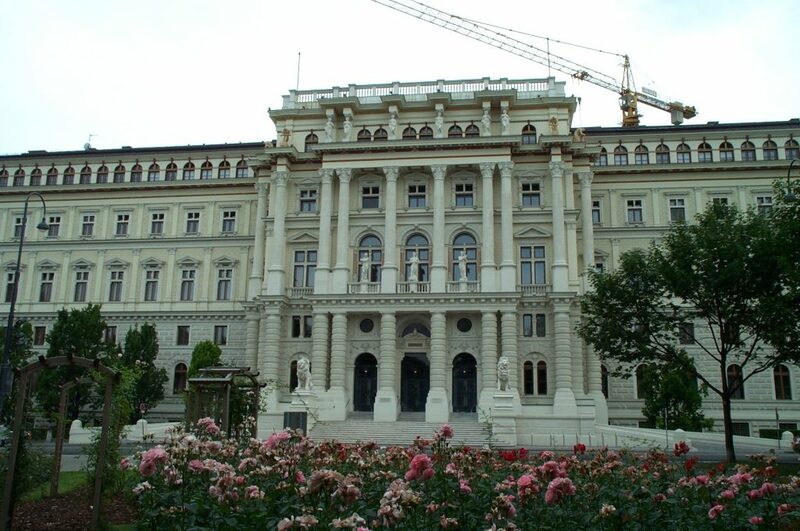 This photograph barely does justice… this is the rear of the University building, not far from the Viennese Rathaus. The gilded paintings are as intricate as they are jaw-dropping. They belie the fact that the brick facades in between is crumbling. 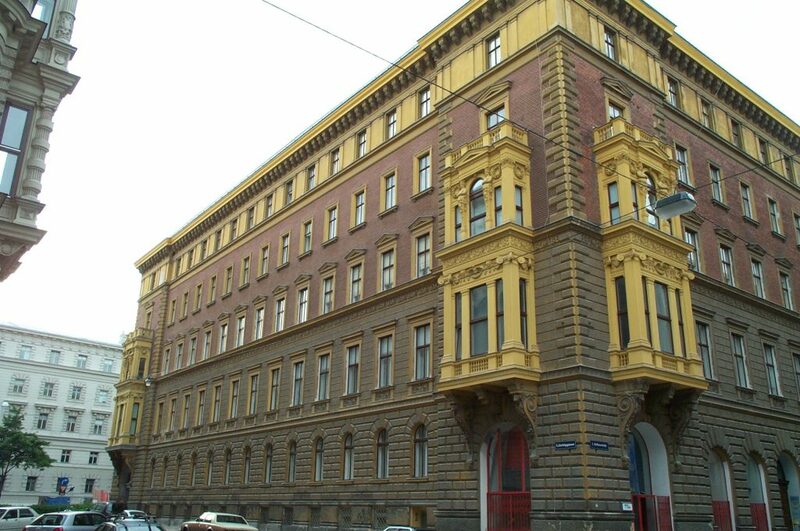 The front of the building was undergoing restoration when I visited. 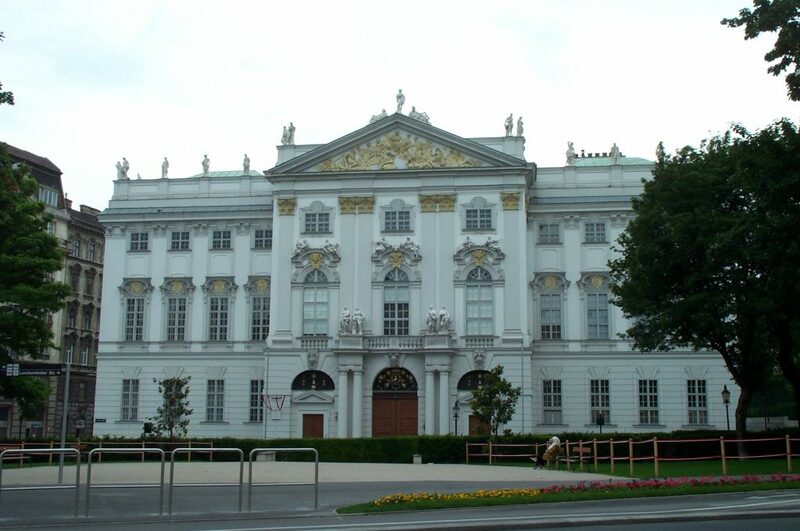 This building stood out because of its color — the gold matches that of the Schonbrunn Palace, and the details on the top and corner overhangs (yes, I know there’s a name for it) are very eye-catching. Amongst the grays and whites of most of the structure, this one was quite unique. 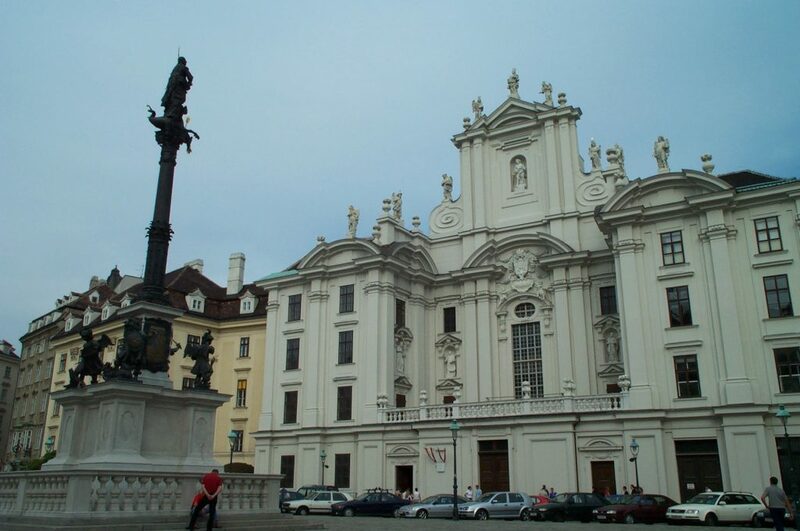 This one is off the Ring by a block or two, not far from the Austrian Parliament. I loved the little garden (not quite in full bloom) that gave this impressive government structure some character, despite the presence of one of those God-awful cranes! 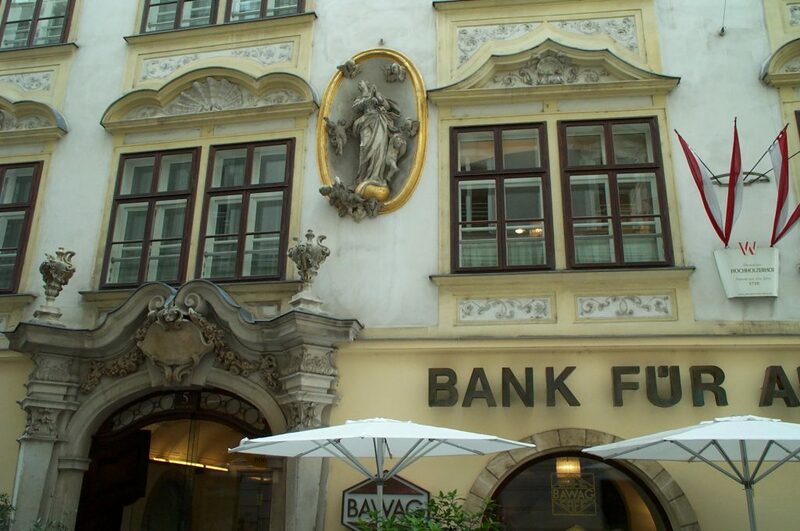 Off the beaten track a bit, you will find the Am Hof (basically follow the roads from Stephansdom to the NNW). This square is part of a section that seems to be frequented more by the locals — indeed I encountered a small local weinfest there. This beautiful white building is a Clock Museum. Even the foreign embassies are into the act. 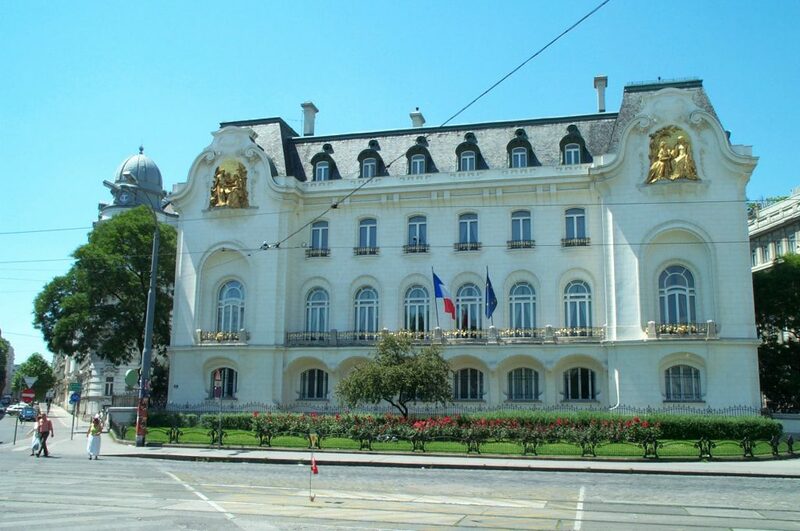 This is the French Embassy that is a short distance from an impressive Soviet war memorial to the southwest of the Ring. Note the really impressive gold-painted insets in the gables. Perhaps a subtle reminder how French and the Habsburgs were once rivals? This is a shot of the Hochholzerhof — Of course, the cynics among us will assume that some of the best buildings will belong to a Bank…. 🙂 …. Not the flags to the right, overhanging the “W” sign. This is Vienna’s Historical Site marker, one of hundreds you will see in the downtown. The last two structures in this gallery are churches. While both of them are Catholic churches, I found it very, very odd that both of them sport a very Eastern look. 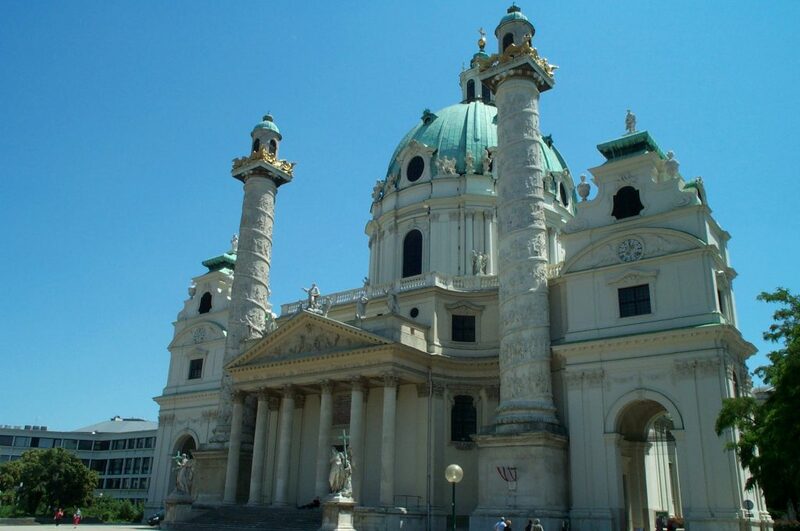 In particular this one, the Karlskirche just southwest of the Ring. This church also houses a museum and fronts one of the city parks. Last but certainly not least is this shot of the beautiful Vienna Staatstheater (city theater). 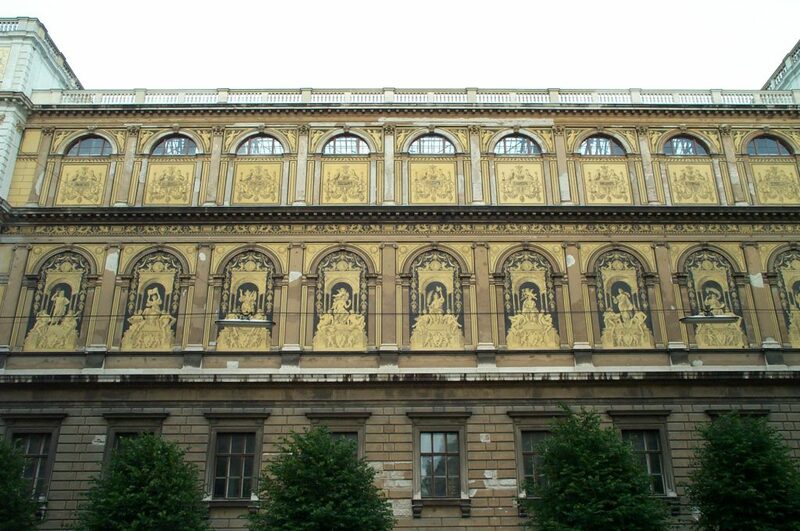 This is yet another brilliant white building with ornate gold trim. Nice.